In over 30 essays, written over 20 years, one of the world's great story-tellers meditates on story-telling. 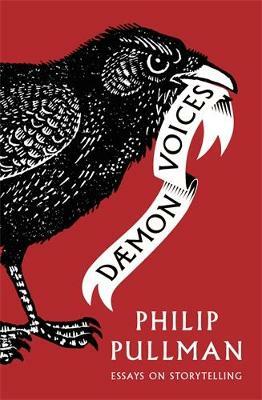 Warm, funny, generous, entertaining and, above all, deeply considered, they offer thoughts on a wide variety of topics, including the origin and composition of Philip's own stories, the craft of writing and the story-tellers who have meant the most to Philip. The art of story-telling is everywhere present in the essays themselves, in the instantly engaging tone, the vivid imagery and striking phrases, the resonant anecdotes, the humour and learnedness. Together, they are greater than the sum of their parts: a single, sustained engagement with story and story-telling. PHILIP PULLMAN was born in Norwich, England in 1946 and grew up in Zimbabwe and Wales. He has won many awards, including the Carnegie Medal, the Guardian Children's Book Award, the Smarties Prize, the Astrid Lindgren Memorial Award, the Whitbread Book of the Year Award and a CBE. His acclaimed fantasy trilogy, His Dark Materials, comprising Northern Lights, The Subtle Knife and The Amber Spyglass, has been published in 39 languages. A new BBC drama series based on His Dark Materials, on which Philip is an executive producer, is currently in production.